Michael Smith is Director of International Trade at the World Trade Center Los Angeles, which attracts foreign direct investment into LA County, providing educational services while serving as the region’s ombudsman for international businesses looking to expand. All of which drives innovation, job creation and prosperity for the region’s communities and residents. Michael was most recently the Research and Content Manager for OfferBoard Securities, a boutique investment bank in Princeton, New Jersey where he identified competitive advantages for middle-market companies raising capital under the JOBS Act. He also spearheaded the marketing of the firm’s alternative investments to new investor classes. 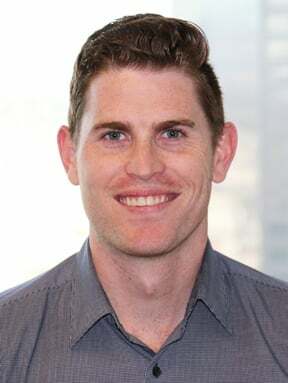 Prior to OfferBoard, Michael served as a researcher for a federally funded follow-on study of a novel probation program that shaped state policy in Hawaii and Washington, which later received a $4 million commitment from the Obama Administration’s Office of National Drug Control Policy. He also worked on new family planning technologies at the Population Council in Washington D.C. Upon finishing his undergraduate degree, Michael resided in South Korea for two years teaching English and enhancing his Korean language and cultural skills. Michael grew up in Phoenix, Arizona and received his Bachelor of Arts in International Studies while running cross country and track at Pepperdine University. He also received his Master of Public Policy with honors from the same institution.